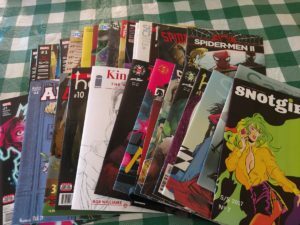 So, I thought I’d be fun this week if I reviewed some #1 single issues that were in my stack. Most of the books coming at you this week will be one-two weeks old at most, but a couple might be pushing that three-week old range since it has been so long since my last pick-up, BUT they should all still be at your local comic book shop on the shelf. If any sound interesting, go grab them! Tell them one of The Comic Book Teachers sent you. Archie has been a staple in my collection since I came back to comics a few years ago. 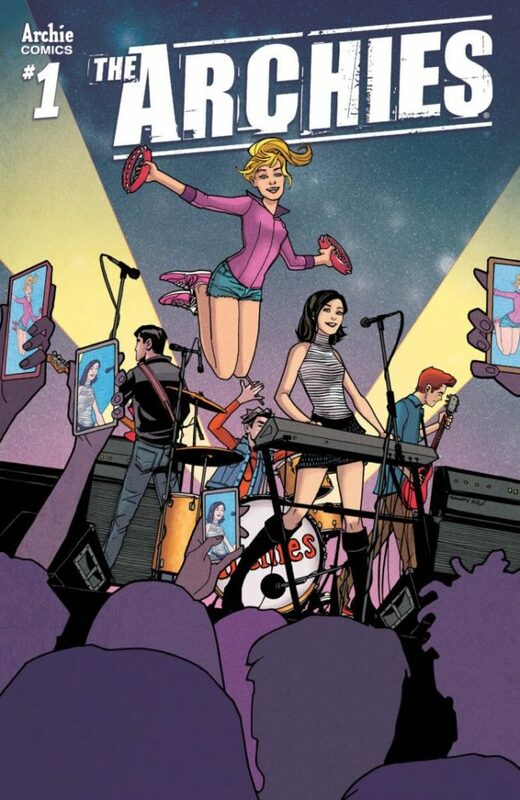 I reviewed the new Archie series earlier this year, and you can read it by clicking here. Today, I’ll be reviewing one of the many cool spin-offs from the Archie base series: The Archies. 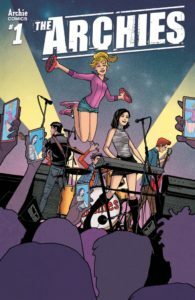 The Archies tells the tale of the Archie gang and their band. And in issue one, that’s about it. It’s about friends forming bands, the issues with forming and keeping a band together, and keeping the slick, cool Archie universe going. Joe Eisma’s art and Matt Herms’ coloring are fairly consistent with the other Archie books that I’ve read, and the same can be said with the writing. This book is par for the course in the Archie Universe. You like the rest, you’ll like this. Now, go listen to some music! And check back all week for single issue reviews.